The latest pop-up books can take us on a tour of the White House or remind us of the phobias we'd rather forget, but that's nothing compared to what has been published in the past. I've just come across a video for a 30-year-old pop-up book called Inside the Personal Computer. 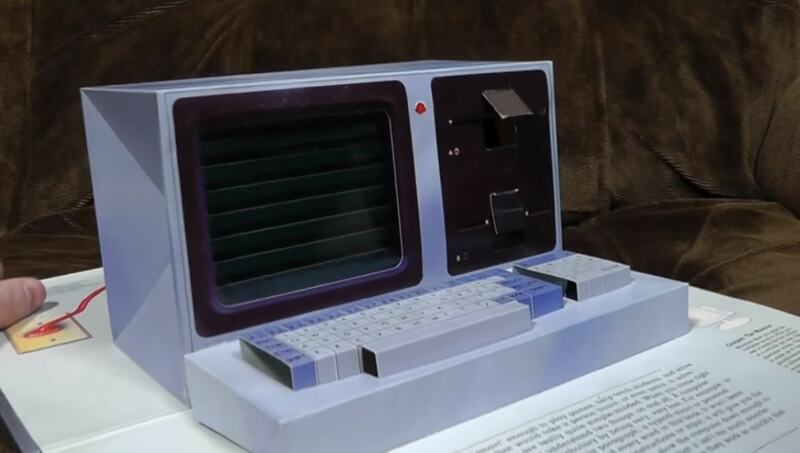 The book takes readers on a tour of the latest computer tech from 1985, showing them everything from the case to the chips inside, the floppy drive, and the printer. It even explains what binary is, how a CRT screen works, and what ASCII codes are. The book is a fun reminder of just how far computers have come in the past 30 years. And coincidentally, you can buy this book on Amazon. If the commentary on this video bothers you, there is a similar video on Vimeo. It has a sound track but no commentary. The level of detail is fascinating, but this book would be a whole lot cooler if someone had published it in 2016. Thanks to Raspberry Pi and other cheap single-board computers, it's now possible to build an actual computer into a pop-up book rather than just a model. True, I don't know where you would put the screen, but it's not the craziest of uses of a pop-up book. One designer has invented a pop-up book which is also a functional camera. Her other pop-up book uses a smartphone (not included) to become a planetarium or speaker. Really, the only thing stopping someone from building a Raspberry Pi into a pop-up book is that no one has thought to try it yet (or rather, I can't find any sign that some has). Does anyone want to give it a shot?